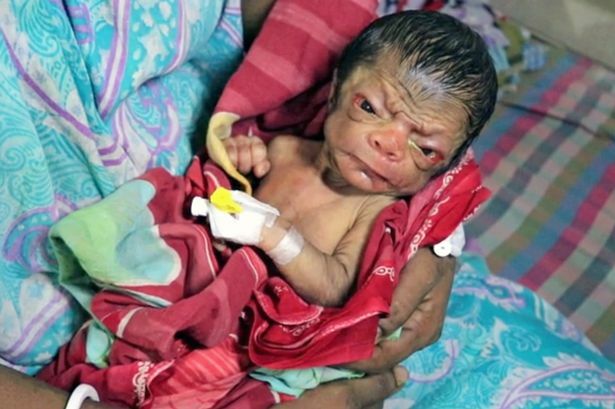 A baby boy has been born with a rare condition making him look like an 80-year-old in a real life scenario of Brad Pitt film The Curious Case of Benjamin Button. 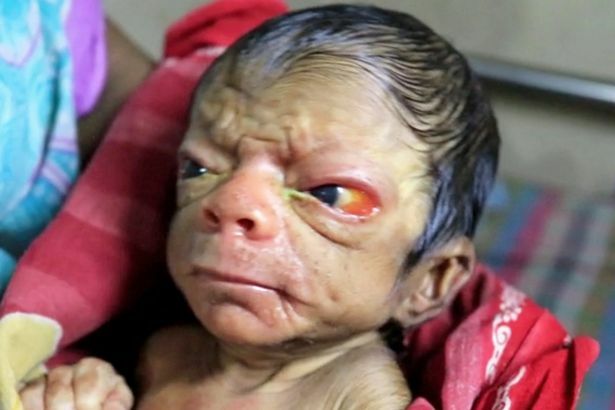 The birth of the infant stunned doctors at a hospital in the district of Magura, Bangladesh on Sunday, September 25, who said the baby has a rare condition called progeria. The syndrome causes wrinkles on the face, a very sunken body and hollow eyes reminiscent of elderly features. 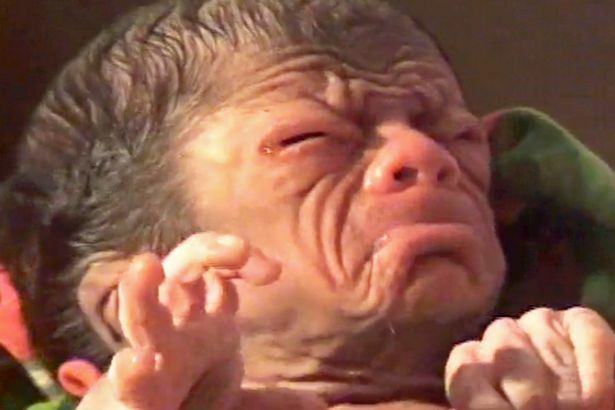 "The baby does not look like a newborn at all," said a doctor who has been treating the baby. "There are prominent signs of ageing such a excessive wrinkles and rough skin texture." The parents of the baby are said to be jubilant with the birth of their "miracle" child. Biswajit Patro, father of the baby, who is a farmer, is ecstatic and cannot hold back his happiness. "We can only thank God," the father said. "There is no need to be unhappy about the appearance of my son. "We will accept him the way he is," the father added. "We are so happy to have a baby boy in the house." Mr Patro and his wife, Parul Patro, have been busy attending to guests curious to get a glimpse of their newborn. "We have been getting a lot of visitors," he said. "Relatives, neighbours and even people from neighbouring villages have come to see our son. "We are happy to host them all," he added. "We are already blessed to have to have a daughter. The family have been told by doctors at their hospital that the baby well be well for now. However, it remains uncertain what measures can be taken to treat the baby. The family hopes he can grow up to become a healthy boy.